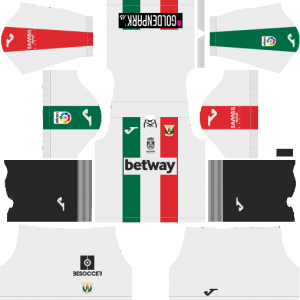 In this article, you can find and download Dream League Soccer (DLS) CD Leganes Kits and Logos 2018, 2019 Edition with URLs. CD Leganes is a Spanish football team and was founded on 26 June 1928. It plays in the Primera Division. They are collectively a very good side. Leganes play its home matches at the Estadio Municipal de Butarque (home ground). Recently Leganes is a decent team, lacking big names. But they have the determination to win games with many quality youngsters. It is a very good opportunity for them to leave a mark in Spain. Dream League Soccer is a very popular game in 2018. You can play with your self-customized team with kits, logo, and players. We are here to list the kits and logo to download for Dream League Soccer 2018. 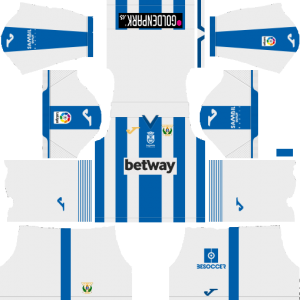 You can also download Leganes kits from the URLs provided below. If you are a fan of CD Leganes and want to download the kits and logo, you are in the right place. We provide kits for Dream League Soccer fans on our website. Dream League Soccer is played by a huge number of people and many people like to customize their own. So, we are here to give you varieties of kits and logos to choose the best fit for you. The Dream League Soccer kits and logos are provided in the size of [512×512]. You can download it from the below URLs. You can use this kits in DLS by clicking the URL to download the CD Leganes team home kit 2018-2019. 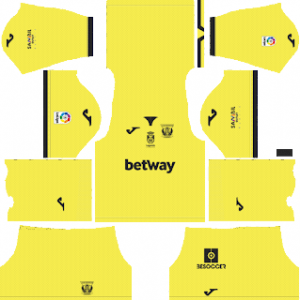 You can use this kits in DLS by clicking the URL to download the CD Leganes team away kit 2018-2019. You can use this kits in DLS by clicking the URL to download the CD Leganes team Goalkeeper’s home kit 2018-2019. 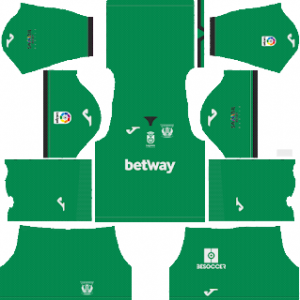 You can use this kits in DLS by clicking the URL to download the CD Leganes team Goalkeeper’s away kit 2018-2019. You can use this Logo in DLS by clicking the URL to download the CD Leganes team Logo for 2018-2019.